It’s been a long while, as I’ve been busy with my other projects, which I will be delighted to share with you quite soon. My wood workshop has been made fully operational and I am trying my luck as a hobbyist woodworker. However, my barbie was not given any days off! So here is a quick and very easy to make pork fillet roll, grilled, needless to mention. And with some extra bacon reinforcement it really is a treat! Grilling or smoking for me is by far the most preferred way to cook fish. There’s something utterly primal in the combination of fish and fire, since, mind you, this is just the way our great great ancestors used to cook it, right after pulling the fish out of the waters… The sea was the taste, the smoke was the spice and the fire was the soul. Salmon is one of the most noble creatures of the sea and it deserves the noble and most traditional treatment – open fire! Despite its simplicity, this dish has a history of thousands of years. Pilaf, or palov, osh-palov, biryani, pulão… It has known countless variations in India, Balkan, Caucasian, central and south Asian countries, and it’s basis is rice, cooked in a seasoned broth. The usual meat of choice is lamb, but here’s a version of the same dish, but with chicken. Pork loin is one of my favorite cuts. It is equally great for steaks, kabobs or, butterflied, as a wrap for stuffing it with anything you can think of. 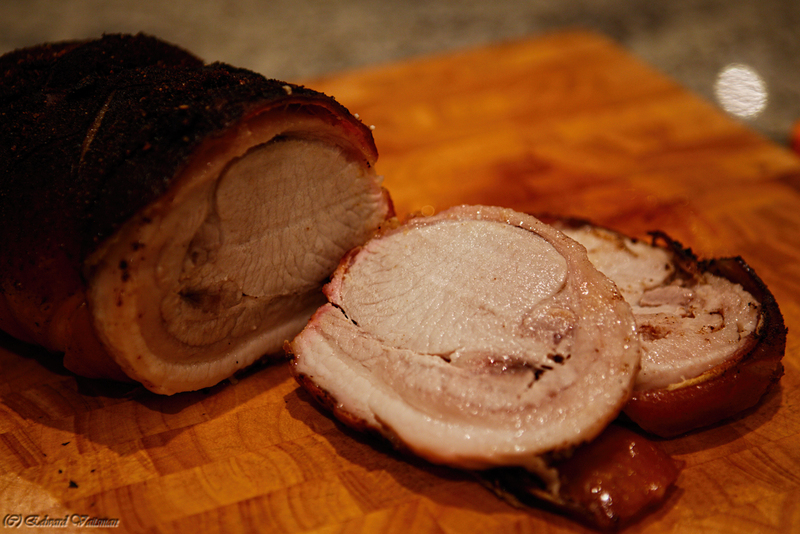 But today I am sharing a whole pork loin roast, a classic indirect grilling made simple.